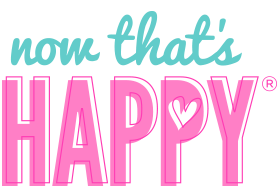 Bella Weems-Lambert is the Co-Founder of Origami Owl. At the age of 14, she approached her parents and told them she wanted to buy a car when she turned 16. 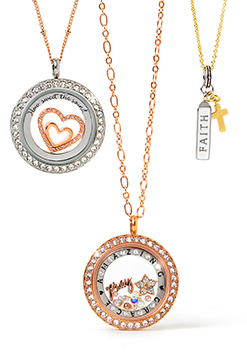 After saving just $350 from babysitting, she decided she wanted to start her own company, creating customizable lockets with charms. That hobby turned into a thriving business with customers wanting to share the lockets in their homes. Five years ago, Origami Owl became a social selling company with thousands of independent business owners, called “Designers,” sharing the meaningful jewelry and earning commissions. 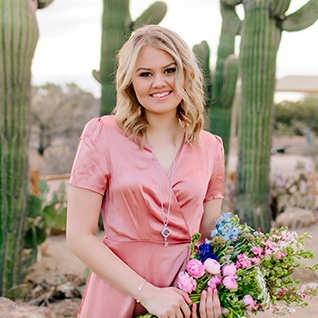 During this period of explosive growth, Bella graduated from high school, was featured in Forbes magazine and other noteworthy publications as she spread her vision of helping others tell their stories in Living Lockets. Bella has a deep love for music, her family, helping others pursue their dreams and being a Force for Good. Bella is now 21 years old and a newlywed, married to Dallin.